With the woeful display in the Ashes tour this winter, the England & Wales Cricket Board was forced to take action. This saw the downfall in Kevin Pietersen career as an England player, which T20 captain Stuart Broad said that he wanted to no part in the demise of England’s talisman. Although the South-African born batsman came away from Australia as England’s highest run scorer down-under, he was shown the door finishing his international career. After seeing England 5-0 whitewashed against Australia, the ECB was forced to step in and release Pietersen early from his contract, team director Andy Flower was also dismissed. While Broad insists that he knew discussions had taken place about Pietersen, he didn’t want to be involved in the batsman downfall. 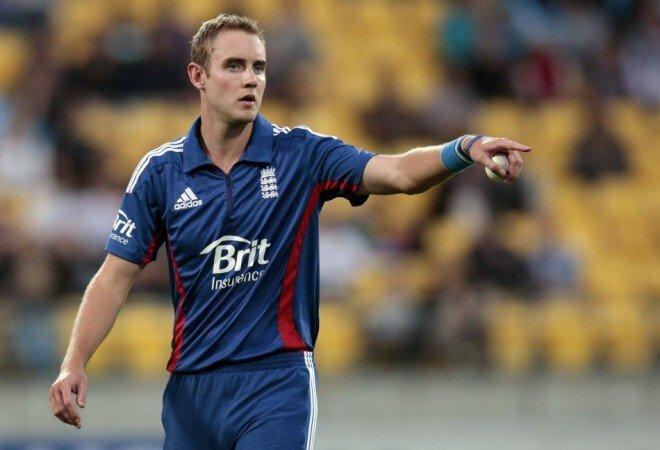 “I was aware of discussions towards the end of the Australia tour but I was not deeply involved particularly,” said Broad, rejecting any role in Pietersen’s exit. “It was a decision made by guys that have the English cricket team at their heart, and they want the team to improve. “The guys that made the decision are very keen for England cricket to move forward, there’s no egos involved in making decisions like this. Broad insists the team must not dwell on the disastrous Ashes tour; it is now times to forget what took place is Oz and concentrate on the future England team. He added; “It’s about improving performances on the field and atmospheres off it. All I can focus on is this trip now. “Personally I’ve not captained Kev a huge amount, but when I did 2012 I think was the last time, and he put in a couple of match-winning performances. He’s done that for many a year but we’ve also won some great games without him. “I have fond memories of KP from 2010 when he was the kingpin in helping us win that (Twenty20) World cup. “But it’s time for the guys in that changing room to realise they can be match-winners and can step up now. “The decision was taken from guys who were desperate for England to improve in the future, not just in the next four or five months. “We do have to make improvements, that’s obvious, it was heart-breaking to lose 5-0 and we lost a lot of good men in doing that.